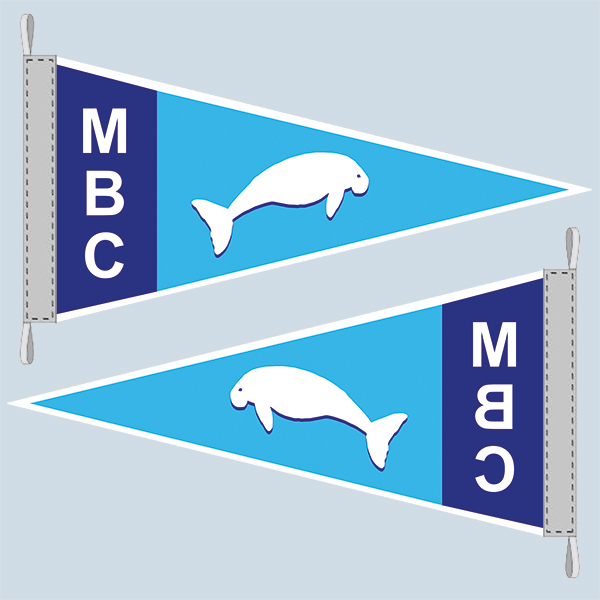 Order your MBC Burgee here! ‘The mighty dugong’ has been quite popular, get yours now. Identify fellow Moreton Bay Cruisers while out on Moreton Bay by flying your burgee. Note: The printing method is a ‘bleed through process’ so the lettering will appear in reverse on the back of the burgee.